Marketing refers to an activity, process and set of institutions primarily designed to create, communicate, deliver and exchange offerings that are valuable to clients, customers, partners and the whole society. It also refers to the process through which business organizations build value for customers and strengthen customer relationships with an aim of capturing value from them as well. It also involves generating strategies that are effective in selling, business development and business communications. It works in identifying customers, satisfying customers and maintaining their loyalty. Because of the extreme importance of effective marketing in improving the performance of a business organization, it is no longer surprising why many experts view a marketing manager or any other marketing professional as one of the major components of managing a business. It involves the continuous adoption of effective marketing strategies that work in shifting focus from the production process to meeting the demands and wants of customers. If you want to become an expert in marketing, then note that effective marketing will never be complete without proper research. It is important for you to spend time conducting comprehensive research as a means of supporting all your marketing activities and using the researched data in planning your marketing campaigns, gauging the marketing environment of the company where you are working for and deciding what to do to further improve its performance. If you want to become a certified marketing professional, then you should keep in mind that it will never be hard for you to fully master all the concepts behind marketing if you enroll in the mastering marketing certification program offered by Brainmeasures. With the mastering marketing course that you can access at Brainmeasures, you will no longer experience any difficulty understanding all the principles, functions and concepts behind effective marketing. This certification course makes it a point to provide you with a kind of mastering marketing training which clearly explains all the concepts and skills needed in order for you to profitably market a business. It aims to provide you relevant information about the many marketing tricks that you can use especially in maintaining and building a profitable market position for a long time. 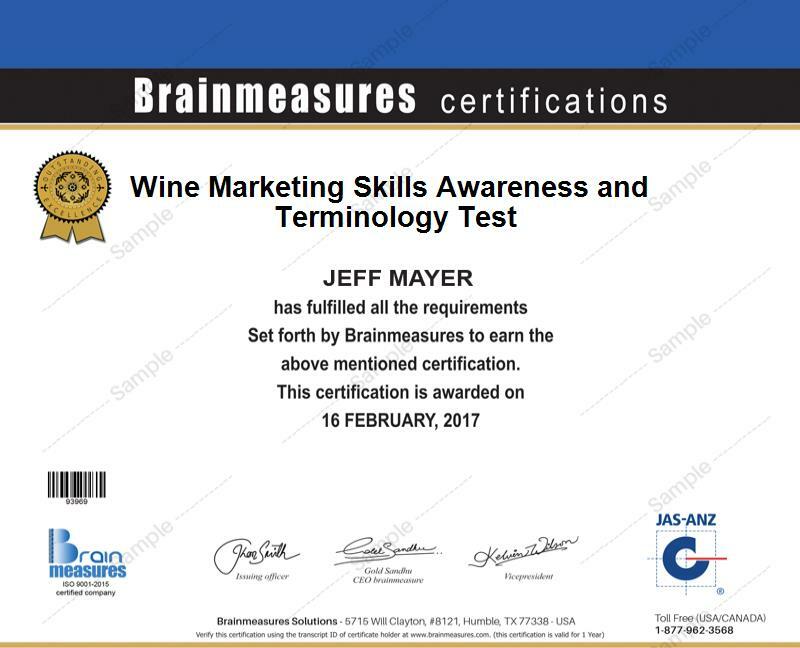 As soon as you successfully complete the mastering marketing certification course offered by Brainmeasures, the company will immediately supply you with your skill certificate. Anyone who wishes to obtain a stronger foundation about marketing can take part in the mastering marketing certification program which is now available at Brainmeasures. This is most suitable for those who are still beginning their careers in marketing industry and professionals holding managerial functions including finance managers, HR managers and production managers who wish to fully understand the importance of drafting an effective marketing plan and successfully carrying out marketing campaigns. Increasing the level of your salary is also possible if you complete a mastering marketing certification course. If you use your mastering marketing certification to work as a marketing specialist, then you can expect your annual salary to go from $42,000 to $60,000. If you work as a marketing manager, then your average annual salary is $84,000. Working as a marketing director is also very rewarding since it allows you to earn up to $157,000 annually.